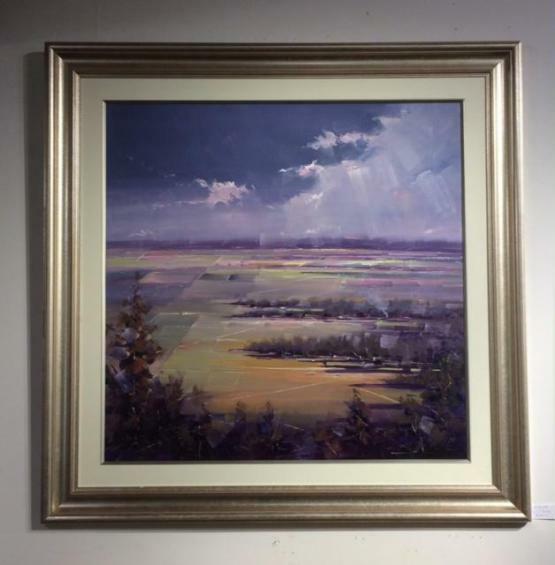 "This painting is beautifully constructed to capture a broad vista full of light and subtle atmosphere. The rendering is loose with clever use of diagonal lines which create subtle zigzag shapes. The colour palette is expressive and refined and the overall technique is distinctive and excellent." 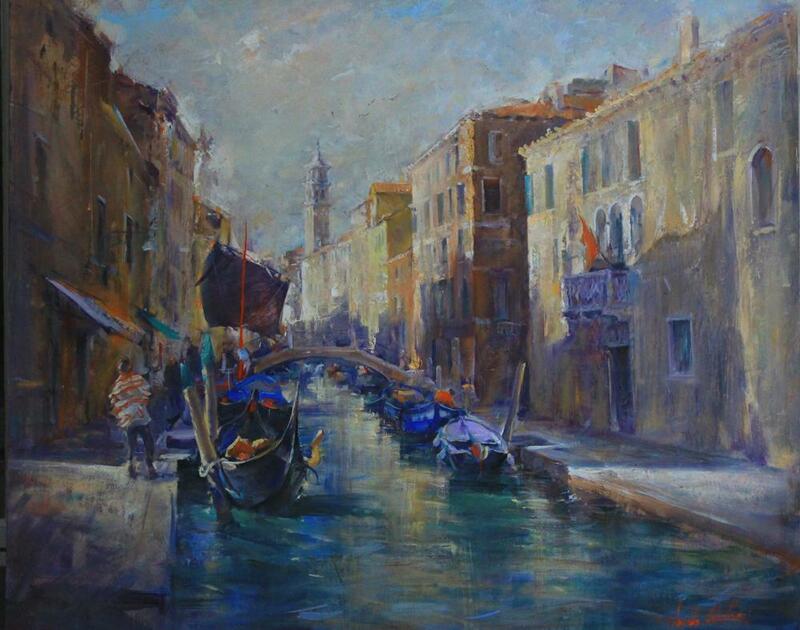 "In this painting the artist has captured the complexity of the Venetian scene with great skill. The mood is warm and inviting and the style used creates movement and character. The colour palette and depiction of light are beautiful." 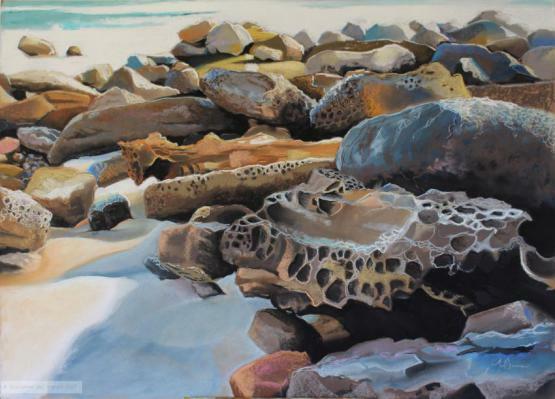 "The artist has painted this complex scene with great skill, conveying light and texture superbly. The mark making is excellent and original as is the subject. The colour palette is natural and skilfully offsets warm and cool colours. A beautifully designed and executed pastel." 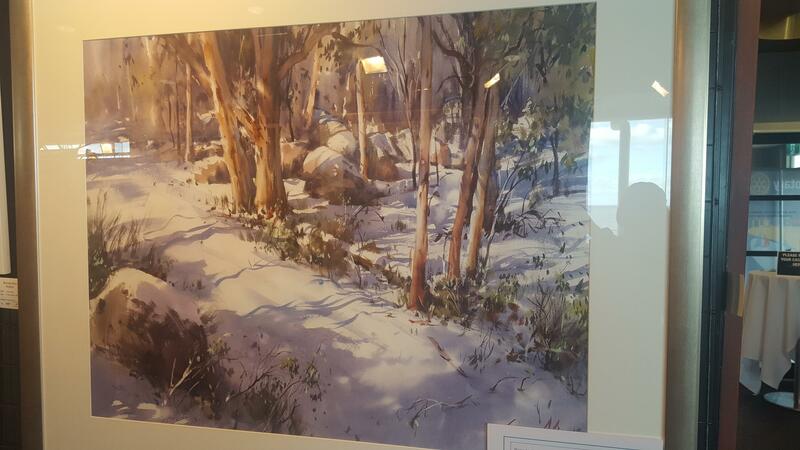 "This fresh and skillful watercolour invites the viewer into the scene with delicate plays of light. The scene is well constructed with shadows and light patterns leading the eye to the main focus. There are beautiful passages of warm and cool colour and a sense of depth created by the misty soft shapes in the background. " 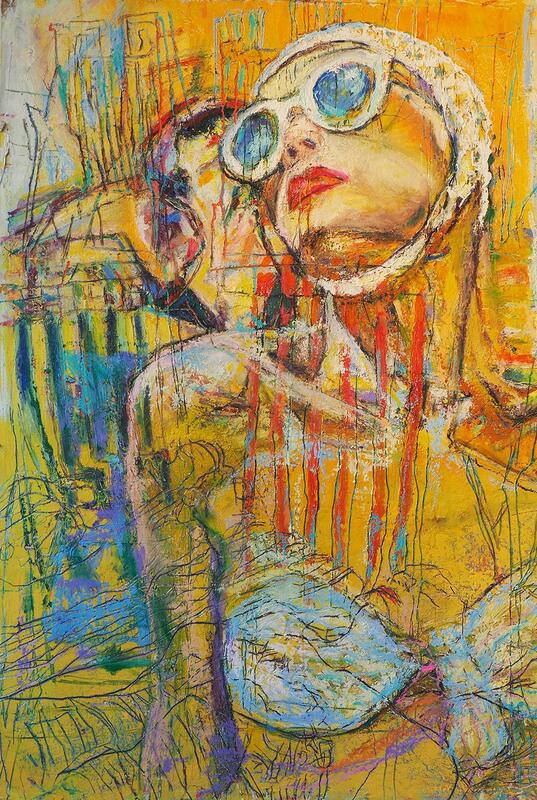 "The use of texture, layers, colour and line combined with clever composition create an intriguing work of art. 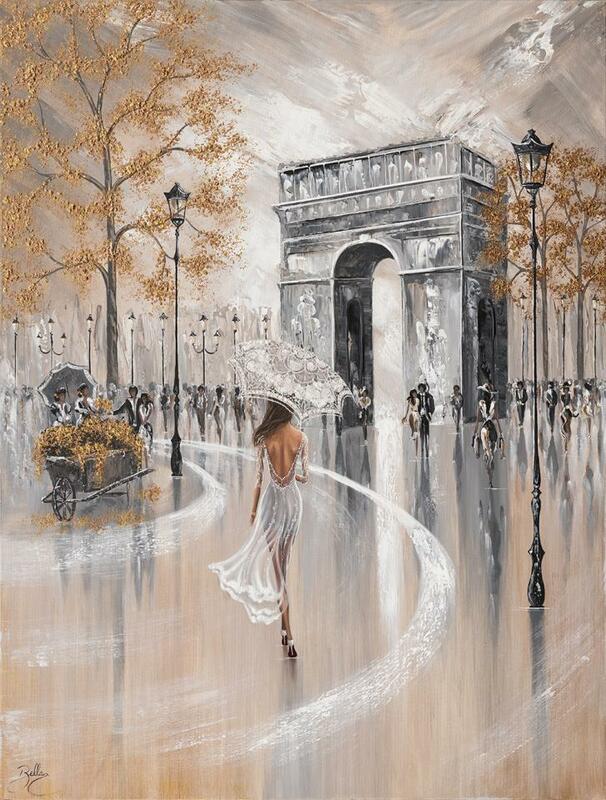 The technique is superb and original creating a powerful contemporary painting." "The artist has skilfully captured the layers and movement of the water and the fish swirling through the pond. The colour palette is very appealing and brings the painting to life and the pastel is applied with excellent technique." 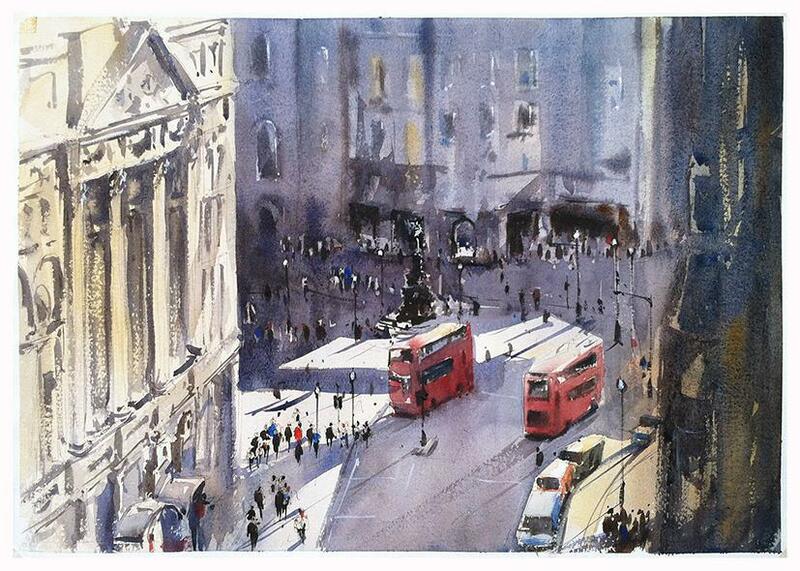 "This lovely fresh watercolour takes in a distinctive aerial view of the city street. 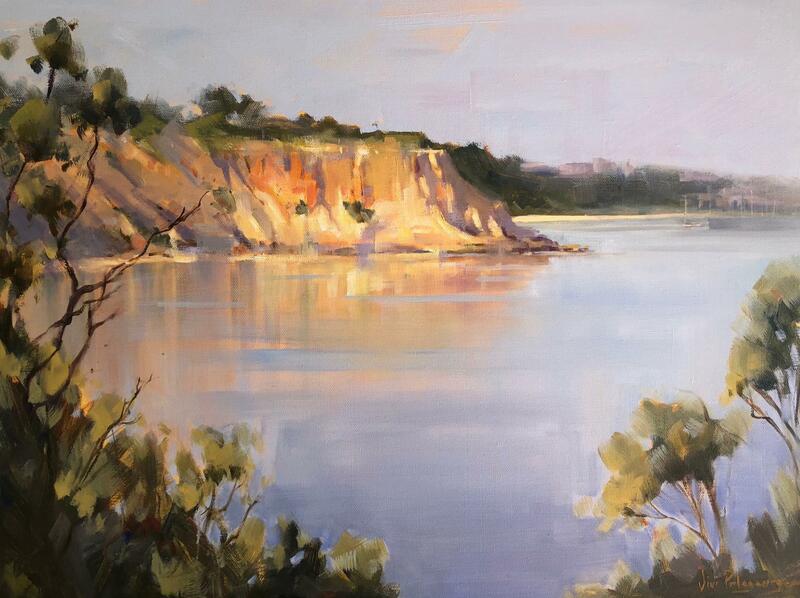 The light is beautifully captured and the busyness of the location is painted with skill." "The artist has produced a delightful painting with this very skilful rendition. The bear is full of character and the texture of the fur is wonderful and the artist has a lovely technique." "This small has a beautiful sense of light and air. The artist has skilfully rendered the water with subtle reflection and used an atmospheric colour palette.There is a confidence in the paint application that adds to the charm of this painting."